Q. 7. — What are the decrees of God? A. — The decrees of God are his eternal purpose, according to the counsel of his will, whereby, for his own glory, he hath foreordained what­soever comes to pass. 1. What is the nature of God’s decrees? God’s decrees are unchangeable; they cannot be changed, therefore they are certain to be fulfilled. His decrees are eternal, being settled by God in eternity. 2. Are there more than one decree? No, there is only one single decree. However, this decree includes many particulars and therefore we speak of it in the plural. 3. When one uses the word “decree” is it not usually synonymous with an arbitrariness? When man uses the word such may be true but not when God uses it. God’s decrees should not be classed in this way since they were framed by Him according to the counsel of his will. You must look behind the decree and see there the love of an infinite, personal God, whose all comprehensive plan is also all wise. 4. What is the purpose of God’s decrees? The purpose is His own glory first and through this, the good of the elect. 5. Who are the special objects of God’s decrees and what is His decree toward them? Angels and men are the special objects and His decree toward them is predestination. 6. What is meant by predestination? Predestination is the plan or purpose of God respecting His moral creatures. It is divided into election and reprobation. 7. What is the definition of election and reprobation? Election is God’s eternal purpose to save some of the human race in and by Jesus Christ. Reprobation is God’s eternal purpose to pass some men by with the operation of His special grace and to punish them for their sin. 8. If reprobation be true, how can God be just? God would be just in condemning all to eternal punishment since all have sinned. He is in charge; He is the potter and our attitude should be one of thankfulness if we are of the elect by His grace. Man has no claim on God and God does not owe man eternal salvation or anything else. LOOK TO THE THRONE OF GOD! The study of this Catechism Question should enable any sinner saved by grace to see something of the nature of God on His throne, and should enable any man to recognize that his life is in the Hands of the Almighty, Sovereign God. So many times men forget. They for­get that God who framed His decrees according to the counsel of His will, is our Heavenly Father who is personal and has infinite love for us, and that He can and does take care of the comparatively minor ills and problems of men. In this troubled world of today there is a need that the God of eternal purpose, that God who has the world in His hands, be pro­claimed by those who are His children by faith through Jesus Christ. But the difficulty today is that so many who proclaim Him as their Saviour, want to usurp so much of His efficacy. They desire the comfort and sustenance of the Sovereign God but want to exalt man and his powers and abilities even to the point of suggesting that man can work independently of God. Or, they seem to insert into the decree of God that He chooses certain men because He foresees certain capabilities of re­pentance and belief in them. Or even worse, they want to choose what to believe regarding predestination, often leaving out part of the teach­ing of the Word of God. It is ever good for Christians to remember that He elected some men simply for reasons of His own and not because there was any de­serving thing in them. Further, it is good for Christians to remember that they dare not meddle with the Word of God. True, there is much that finite minds can not understand. True, there is much against which our sinful minds rebel. But the Word stands in the midst of His eternal purpose. It is only as the Written Word is accepted as it is, as the Scriptures are proclaimed in all fulness, that the challenge can be issued to the world; “Look to the Throne of God!’’ for there sits the infinite, holy, sovereign God, the One who elects and keeps eternally. Sad to realize that the League of Evangelical Students, an early forerunner of later evangelical campus ministries, has largely been forgotten now. 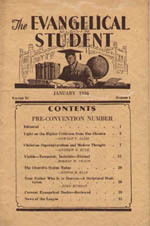 The League’s modest quarterly, The Evangelical Student, produced some great articles and on its pages appeared some of the first published works of men like John Murray, R. Laird Harris and Ned Stonehouse. More on them later, no doubt. But for now. . . Appearing in the April 1929 issue (vol. 3, no. 3), was the article, “The Mistakes of Modernism” by A.Z. Conrad, pastor of the Park Street church in Boston. Here below are the main points of the article in summation, with the full text following. I. The first mistake of Modernism is this, that Modernism is new in its teachings and representations. Truth is timeless. It has nothing to do with remoteness or recentness as such. Reality is independent of all time relations. It is eternal. It is changeless save in application. II. A second mistake of Modernism is the claim that it is synonymous with value and progress. Mere modernity does not give value to anything. III. The third mistake of Modernism is the claim that the unaided human intellect can deal effectively with the great problems of the soul. IV. The fourth mistake of Modernism is this,–that the Bible is man’s best word about himself and God, rather than God’s best word about Himself and man. Modernism declares the Bible to be a distinctively human document and nothing more. V. The fifth mistake of Modernism is that Divine Revelation is uncertain, untrustworthy and superfluous. VI. The sixth mistake of Modernism is that sociological relations are more important than theological principles. VII. A further mistake is, that sin is disease and misfortune to be dealt with pathologically and not evil to be eradicated and dealt with redemptively. VIII. The eighth mistake of Modernism is that culture and not rebirth can eliminate the destructive influence of transgression and can put man into right relations with God. IX. Modernism makes the mistake of assuming that Calvary represents man doing his utmost for God and not God doing His utmost for man. In the thought of Modernism Christ suffered martyrdom just as many others have done. X. What greater mistake could Modernism make than its continuous assumption that a creedless Church and a creedless personality make for liberty and self-expression? XI. Another mistake: that prayer is a wholesome exercise in meditation, but has no procuring power. XII. Another mistake of Modernism: that sincerity independent of reality is a sufficient ground to secure divine approval. “No matter what you believe just so you are honest,” we often hear. XIII. That man can deal adequately with sin, sickness, sorrow and death without Jesus Christ is another mistake of Modernism. XIV. Modernism declares that the teachings of Jesus are subject to human revision and correction and hence are not final and authoritative. XV. Modernism assumes that traditional Christian beliefs are discredited by the discoveries of modern science and the revelations of archeology. XVI. The sixteenth mistake of Modernism is that accepted Christian beliefs are obstructional and non-progressive. MODERNISM is an elastic term. There is a sense in which all believers are Modernists. No one is so thoroughly up to date as the evangelical Christian who is making constant application of the truths of Christianity to the needs of the present hour. Later than the last dispatch is the divine message which comes to the soul through the Spirit. In point of recentness, there is nothing more truly up to the last minute than the teachings of Jesus. Modernism, however, is a term which has come to have a very particular significance in religious relations. It stands for a certain type of thought and for a certain group of individuals whose assumptions and presumptions are very conspicuous. Modernists are accustomed to throw into the scrap heap the lines of thinking represented by the advocates of evangelical Christianity. Fundamentalism is also a term elastic and variously interpreted. It may represent a small fanatical group who overemphasize certain features of the Christian faith and insist on interpretations of the Bible which may very properly be called fanciful and irrational. On the other hand, Fundamentalism in its broader aspects, as representing evangelical Christianity, definitely means those who accept the Bible at its face value, the Gospel of Christ as a blessed reality, Jesus Christ as the Son of God and the atoning work of our Saviour as indispensable to eternal life. Let us now turn our attention to a few of the multitudinous mistakes of Modernism. I. The first mistake of Modernism is this, that Modernism is new in its teachings and representations. Truth is timeless. It has nothing to do with remoteness or recentness as such. Reality is independent of all time relations. It is eternal. It is changeless save in application. New cults are constantly appearing, which plead for the support of people on the ground that some new, striking or even startling discovery has been made with which the world has never been familiar. Furthermore, older organizations departing from the traditional conceptions of Christianity are calling the beliefs which have been entertained for centuries incapable of retention. They assert that all these things were well enough in their day but that they have become antiquated and inapplicable to the present needs. With much sophistry and perversion of truth they lead people to feel that the fathers were ignorant or misinformed and that it is time to leave the old moorings under the direction of a new pilot and a new chart. It will invariably be discovered that what purports to be new is centuries old. There is not a single modern cult that is other than the expression and amplification of what has been repeatedly presented to the world before. There is no objection which Modernism makes to the Bible, to the Atonement or to any feature of Christianity which has not been made and perhaps better made by objectors who lived in the latter part of the first or in the second century. We all believe that new truth will ever break forth from the Word of God. But when it comes, it will not by any means be Modernism. Modernism is essentially destructive and not constructive, since it is ever attacking the positions maintained by the Church for generations. II. A second mistake of Modernism is the claim that it is synonymous with value and progress. Mere modernity does not give value to anything. Worth is determined by certain well-known criteria. We have the time test, the acid test, the fire test which we apply in determining the value of jewels. These same tests can be applied to truth. To run after some novelty that strikes hard blows at truth long accepted is to reveal a lack of mental poise such as should characterize a true student of Revelation. The very fact that a thing is modern is reason enough to wait, to weigh, to measure and to put it to the test. “By their fruits ye shall know them.” Fruit is not the result of an overnight process. A thing may be very modern and very worthless. Modernism is very fond of employing epithets calculated to discredit long-accepted evangelical truths. We are told they are old-fashioned, out of date and irrational. What should concern us is not newness but trueness. III. The third mistake of Modernism is the claim that the unaided human intellect can deal effectively with the great problems of the soul. It is the assumption of Modernism that by mere intellection man may discover for himself all the truth essential to the perfection of character and the knowledge of God’s will. As a matter of fact, the deepest spiritual truths positively require revelation because they are entirely unknown to any save God Himself. The very implications of immortality are such as to demand the voice of divine authority if the soul is to have peace and true understanding. The question pressing hard on the human mind has been from time immemorial, “If a man die shall he live again?” No satisfactory answer has ever been or can ever be given to this question except as God breaks the great silence. The greatest intellectual giants of the world are absolutely helpless in the presence of profound spiritual questions. A man can talk eloquently about the laws of hydrostatics, but when he starts to wade out into the ocean he soon gets beyond his depth. No one has ever come back from the invisible world to answer any questions about the experience of the souls beyond the grave. Even those who were witness to the transfiguration made no declaration which would lead us to believe that Moses and Elijah told them anything about the spirit life. Do not deceive yourself with the belief that there is any authority relative to sin, salvation and eternity except a supernatural authority. IV. The fourth mistake of Modernism is this,—that the Bible is man’s best word about himself and God, rather than God’s best word about Himself and man. Modernism declares the Bible to be a distinctively human document and nothing more. To the Modernist the Bible is man’s best word about himself, his soul’s need, his aspirations, his outreach, his onlook regarding God. God thus becomes man’s creation, but the true view is definitely opposed to this conception of Modernism. The Bible is God’s best word about God and man. It is God’s declaration to man, revealing who he is and what He wants him to do; what God has done, is doing and is willing to do for man. We know that progress does not rest upon the shifting sands of error. We know further that the joy of the human heart and the growth of the human soul never come about by feeding upon ashes. We know, furthermore, that in view of the truth that man intellectually is not able to deal with spiritual problems unaided, therefore, whatever meets these great problems must be from God. We know that the progress of the world has been paralleled by the distribution of the Bible. Before Christ came, the world’s progress rested largely with a group of people who were adherents to God’s Revelation made through theophanies, by poets and prophets and the great teachers whom God raised up. Since the coming of Christ, the Bible has furnished the basis for every great progressive movement. V. The fifth mistake of Modernism is that Divine Revelation is uncertain, untrustworthy and superfluous. Any unbiased student who turns to God’s Word and reads the promises and prophecies of the Old Testament, then turns to the New and finds they are all fulfilled, must be convinced that God inspired the prophets and poets of Israel. The New Testament tested by results reveals the fact of a supernatural direction. We are told exactly what will happen through the acceptance or rejection of certain truths, and history and observation bear out the truthfulness of the statement. No individual has ever been able to say, “I trusted in Revelation and I have failed,” nor can anyone say, “Oh Lord, I have made Thy Word my counsel and it has misled and deceived me.” On the other hand, millions are prepared to testify that the Word of God has made them wise unto salvation and has been the man of their counsel and the guide of their lives. VI. The sixth mistake of Modernism is that sociological relations are more important than theological principles. This idea is very prevalent. “Do not bother about your soul. Tend to the ordinary duties and let the next world take care of itself. Engage yourself in providing for the material well-being of people and nothing else will matter.” As a matter of fact, there is no true service unless there is an abiding principle behind it. You must have a foundation before you can build. Spiritually there is no other foundation that can be laid than that which is laid in Jesus Christ our Lord. Never has there been greater interest shown in behalf of human liberty and human progress than that shown by people who trust in the ever-living Word of God. It was the belief “that God was in Christ reconciling the world unto Himself” that laid the foundation for Harvard and Yale and Princeton. The recent apostasy has been very great. Nevertheless, the Christian Church has been throwing out a bright light and in proportion as the Church has exalted God’s Word it has been both a force and a fire. “That which is born of the flesh is flesh and that which is born of the spirit is spirit.” What shall it profit if you build splendid edifices? What shall it profit a man who accumulates a vast fortune and loses his own soul ? VII. A further mistake is, that sin is disease and misfortune to be dealt with pathologically and not evil to be eradicated and dealt with redemptively. The Bible declares, “The wages of sin is death.” If sin could be successfully dealt with pathologically, remorse would be impossible. We would say in view of any transgression, that we need not disturb ourselves since we are the victims of misfortune or temptation. Sin is a crime before God. You cannot eliminate that fact. Our very cry for forgiveness and the burden often carried upon the conscience is an indication that there is something evil within, which must be dealt with redemptively. There is no doubt but what improved surroundings and education retard the progress of evil. All the sophistry in the world will never do away with the fact that sin is sin and without salvation effected by Jesus Christ, the sinner is doomed. VIII. The eighth mistake of Modernism is that culture and not rebirth can eliminate the destructive influence of transgression and can put man into right relations with God. What does God say? “God so loved the world that He gave His only begotten Son that whosoever believeth in Him should not perish but have everlasting life.” Culture has never yet removed one single sin stain. It never will. Cosmetics cannot eliminate a deep-seated malady. Lady Macbeth was unable to wash the stains and remove the “damned spot” from her hands. A man cannot bring peace, contentment and rest by any merely educational process. The more culture the better but for purposes of salvation it is useless. Why discard the utterance of the greatest Teacher the world has ever known who said, “Ye must be born again” ? IX. Modernism makes the mistake of assuming that Calvary represents man doing his utmost for God and not God doing His utmost for man. In the thought of Modernism Christ suffered martyrdom just as many others have done. Jesus at Golgotha was not man doing his best for God. It was God, the Son, dying upon the Cross to save the world. The Scripture declaration was explicit, unequivocal. “I lay down my life for the sheep.” “God was in Christ reconciling the world unto Himself.” Modernism is definitely opposed to the Scripture when it rejects the Atonement. That changes no fact. The Atonement was accomplished by Christ on the Cross and is effectualized for the individual by the acceptance of Jesus. X. What greater mistake could Modernism make than its continuous assumption that a creedless Church and a creedless personality make for liberty and self-expression? They do not. Why this absurd inveighing against creed? We often hear, “Let no one expect me to attach my name to a creed.” But what is a creed? It is a statement of faith. If a true statement why oppose it? A true creed is simply a formulation of the truth of Revelation. The fact is, a creedless Church is a spineless Church. A creed-less individual is a jelly-fish personality. Your creed may be the New Testament Scriptures, nevertheless it is a creed. A Church without a creed never stands against the stream of adverse tendency. It never produces great missionaries. In all the great missionary movements and activities the leaders have been believers and if believers, believers in something. That something was their creed. Not only should we have a creed but it should be an expression of a belief and a conviction for which we should be willing to die. XI. Another mistake: that prayer is a wholesome exercise in meditation, but has no procuring power. No one questions that it is a wholesome exercise, but if people did not believe prayer had a procuring power they would soon cease to pray. As a matter of fact that is just what does happen in thousands of instances. Jesus said, “Ask and ye shall receive.” He said furthermore, Pray for the things ye need. Jesus’ idea of prayer was that it called in the activities of God to help meet earth’s needs and answer our personal problems. XII. Another mistake of Modernism: that sincerity independent of reality is a sufficient ground to secure divine approval. “No matter what you believe just so you are honest,” we often hear. God says, “There is a way which seemeth right unto a man, but the end thereof are the ways of death.” It makes all the difference in the world whether you are hugging a delusion, following an illusion, depending upon a mirage or relying on reality. XIII. That man can deal adequately with sin, sickness, sorrow and death without Jesus Christ is another mistake of Modernism. No religion has ever pretended to deal adequately with these things except Christianity. Next to Jesus Christ, Paul was the great avenue of Divine Revelation. He declares that if Jesus did not rise from the dead we have no gospel and no hope. The whole fabric of the Christian Church is woven through and through with the truth that Jesus rose from the dead. It is this that guarantees the Atonement. Christianity meets man’s need as a sinner and removes his guilt. It meets his deepest sorrow by the assurance of the future life. It meets his sickness by divine power. It meets his death with the guarantee of an endless life. XIV. Modernism declares that the teachings of Jesus are subject to human revision and correction and hence are not final and authoritative. One of our theological leaders has recently written, “Of course Jesus thought this was so. He was simply mistaken.” In other words, the wisdom of man is greater than that of Jesus and he may revise the findings of Jesus. Jesus said, “The words that I speak unto you, they are spirit, and they are life.” The final seat of authority lies in the experience of Jesus Christ with God the Father. The Gospels give us the record of this and hence become an authority to us. XV. Modernism assumes that traditional Christian beliefs are discredited by the discoveries of modern science and the revelations of archeology. The plain, unvarnished fact is this: not one, single statement of Holy Scripture from beginning to end has been successfully overthrown by any scientific truth or any archeological discovery. On the other hand, it is marvelous how God’s Word has been accredited by the revelations of the spade. XVI. The sixteenth mistake of Modernism is that accepted Christian beliefs are obstructional and non-progressive. This is stupidly untrue. Every great progressive cause has been led to success through the advocacy of Christian conservatives who accept the Word of God at its face value. Christianity is the most progressive and aggressive of all systems of truth. XVII. Another mistake of Modernism is that all scholarship of the highest order is sceptical with respect to long-accepted beliefs of the Christian Church and hence radical. There is no phrase with which Modernism is more familiar than “All scholars.” The presumption and the conceit connected with that phrase are monumental. The truth is that the highest scholarship today which is under the direction of the Spirit of God receives the truth of the Virgin Birth, the Atonement, the Resurrection and Regeneration. The final court of appeal in all matters of faith is the appeal to Jesus Christ in His life, His teachings and hence, His experience with God the Father. My experience is valuable only as accrediting that which is greater than any human experience. My experience corroborates what God has revealed in Jesus Christ. It is my business to lay my conclusions beside the teachings of Jesus and see whether or not they correspond and if not, to correct them. Personally, I am willing to rest my eternal destiny upon the fact that Jesus Christ was the Son of God and God the Son. Conrad, A.Z., “The Mistakes of Modernism,” in The Evangelical Student (Princeton, NJ), 3.3 (April 1929): 5-10. With few Presbyterian events tied to this date, let’s look back at yesterday’s post and the concluding point that our life is hid with Christ. To explore this great truth further, excerpted here is a portion of a work, The Hidden Life, by Richard Sibbes. An excerpt does not do justice to him, but perhaps this short portion will draw you to read more. A Kindle edition is available here. Otherwise, the full treatise appears in volume 5 of the Works of Richard Sibbes. Our life is hid with Christ in God. We are dead, and yet we have a life. A Christian is a strange person. He is both dead and alive, he is miserable and glorious. He consists of contraries. He is dead in regard of corruption and miseries, and such like, but he is alive in regard of his better part, and he grows two ways at once. It is a strange thing that a Christian does. He grows downwards and upwards at the same time; for as he dies in sin and misery, and natural death approaching, so he lives the life of grace, and grows more and more till he end in glory. 1. It is hid to the world, to worldly men, because a Christian is an unknown man to them. Because they know not the Father that begets, therefore they know not them that are begotten, as St. John says in 1 John 3:1. They know not the advancement of a Christian: he is raised into a higher rank than they. Therefore, as a beast knows not the things of a man, no more does a carnal man, in any excellency, know the things of the Spirit, ‘for they are spiritually discerne, 1 Cor. 2:14. Therefore it is a hidden life in the eyes of the world. A worldly man sees not this life in regard of the excellency. He passes scorns and contempts of it, of folly and the like. A Christian, in respect of his happy life, is a stranger here, and therefore he is willing to pass through the world, and to be used as a stranger. It is [a life] hidden in heaven. No enemy can come there. The devil comes not there since he first lost it and was cast out. It is safe in regard of the place. It is hid in heaven. And it is safe, because it is hid in Christ, who purchased it with his blood; who has trampled upon all opposite powers, over death, and hell itself. It is hid in heaven and in him who has overcome all opposite power. Therefore it is a safe life. And it is hid with Christ in God. Christ is in the bosom of God, Christ mediator. ‘It is hid with Christ in God.’ He is the storehouse of this life. It is hid with him. If any can rob God, then they may rob our life from us; for it is hid with Christ in God. It is a sure life therefore. It is likewise a glorious life; for it is hid with Christ, who is the glory of God; and he says in the next verse, ‘When Christ, who is our life, shall appear, we shall appear with Him in glory.’ It is a glorious life. It is a secret, sure, peculiar, glorious life. Alas! we are ready to judge of ourselves by the present, and not to think it a glorious life. But he says, it is hidden for us. ‘Light is sown for the righteous,’ Psalm 97:11. It does not appear for the present. A garden has seeds sown and herbs, but in the winter there is no difference between it and a common field; but when the sun shines and appears, then the herbs appear in their lustre. So it is with a Christian. There is light and immortality and happiness sown for him. When Christ, the ‘Sun of righteousness’ shall appear, ‘then we shall appear with him in glory,’ 1 John 3;2. As we may say of all things below, they have a hidden life: the plants and the flowers in the winter, they live by the root; and when the sun appears, then they also appear with the sun in glory; and when the sun appears, then they also appear with the sun in glory. So it is with the righteous: they have a hidden life. It is hid now in the root, in their head, in this life. When Christ the Sun of righteousness shall appear; when the spring comes; when the resurrection comes: then we shall appear with Him in glory. Dr. William Twisse was named as prolocutor, or moderator, and he opened the Assembly on the day appointed with a sermon on the text of John 14:18, “I will not leave you comfortless.” This sermon was delivered in the Abbey church in Westminster before a great congregation, in which sat the members of the two houses of Parliament and many of the divines named as members of the Assembly. 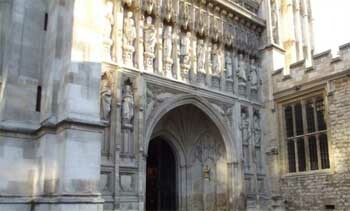 The Assembly then went into the chapel of Henry VII., where the roll was called. The body continued to meet in this chapel until the approach of winter, when, finding it too cold a place, it adjourned to the Jerusalem Chamber, where the sessions were afterward held. King Henry: “Laud be to God! even there my life must end. Now a body of the most pious and learned men of English history were to occupy these venerable chambers, to restore the pure theology of Augustine; to teach a wicked king that resistance to tyrants is obedience to God; over the ashes of the greatest and the noblest of the English race, to proclaim the precious doctrines of the resurrection of the dead through a risen Saviour; to point from this most venerable but perishing pile to the new Jerusalem, not built with hands, eternal in the heavens. We find ourselves now at a troubling point in history, where, because of long-standing unbelief and the subsequent advances of idolatry, that many of the great markers and memorials of the Reformed faith throughout England and Europe stand in danger of being overrun and may someday even be threatened with destruction. Should that day come, what will be our response? Nothing in this life is forever, even those things carved in granite. But praise God that we have a greater place to stand. The true Ebenezer of our faith—the very Person of our Lord Jesus Christ, the Rock of our salvation—can never be taken from us. Our faith rests not upon hallowed stones and hallways, but upon the living Lord of Glory who rose again from the dead to live and reign forever. Rev. Charlie Rodriguez, pastor of Mount Carmel Presbyterian church, Clinton, MS, and owner of Fortress Book Service, has been gracious in granting permission to use these two photographs which he personally took, the first showing the inside the Jerusalem Chamber and the second that of the Great West Door of Westminster Abbey, which also shows the outside window of the Jerusalem Chamber. The Great West Door would most likely have been the primary entry point for the Westminster Divines as they gathered for each day’s work. Our thanks to Pastor Rodriguez. Some thought that he was the one who framed that Shorter Catechism answer about God’s character. Other doubted that he was the author of it. We may never know for sure, but it was stated that whoever framed the answer to the question, “What is God?” was the youngest minister present on the Assembly committee tasked with the question’s answer. And Rev. George Gillespie was the youngest minister present in that committee of the historic Westminster Assembly. Maybe only eternity will reveal for sure the real author of Shorter Catechism Number 4. The issue came to the forefront on an important discussion on the attributes of God. Asked to help formulate an answer, Rev. Gillespie (if indeed it was he who was the author) asked first for divine help. And so he led with a prayer for wisdom, saying in his prayer, “O God, thou art a Spirit, infinite, eternal and unchangeable, in Thy being, wisdom, power, holiness, justice, goodness, and truth.” The whole prayer was eventually written down by the court recorder with the magnificent answer to the character of God set in place for us to adore, memorize, pray, and teach our covenant children and others of God’s family. Our Presbyterian character today is George Gillespie. 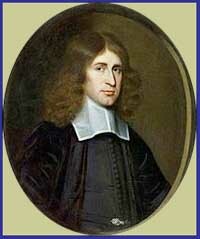 Born to a clergyman father in Kirkcaldy, Scotland on January 21, 1613, little is known of his early life in the manse. We do know that he had a brother named Patrick. We know that his mother was inclined to favor that child and not George. We know that the father would often come to the aid of George, telling prophetically that George would one day be a mighty servant of the Lord in Scotland. But beyond those tidbits, his growing up days are scarce of events. That he was a Presbyterians was a given, as he was supported by the Presbytery of Kirkcaldy financially to attend at age 16 the University of St. Andrews. While there at this school, it was said that he gave ample evidence of genius and industry, with a rapid growth of mental power, and extensive learning. What remained solid in his classes were his convictions regarding the biblical basis of Presbyterianism, including its government. It was expected that if he wanted to be ordained into the ministry in those days, it would be the ordination approved by the Church of England. This he refused to do, so he became a domestic chaplain ministering to three families in Scotland. 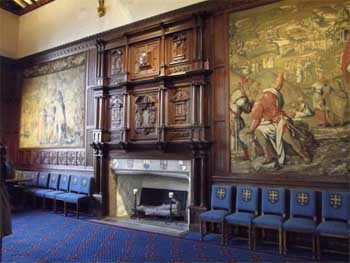 A year before he was ordained, at a critical time in the life of Scotland when the English Liturgy was going to be forced on the kingdom of Scotland, George Gillespie wrote a book entitled A Dispute Against the English Popish Ceremonies Obtruded upon the Church of Scotland. It plainly dealt with the purity of worship. It was so overwhelming in its thoroughness that no bishop ever attempted to refute it. Eventually, when the Presbyteries of the land were recognized as being able to ordain individuals, George Gillespie was ordained to the gospel ministry on this day, April 26, 1638, by the Presbytery of Kirkcaldy. He became the pastor of a congregation in Wemyss, Scotland, for four years. Then he was called to High Kirk in Edinburgh, Scotland. However, in the same year, he was appointed with four other ministers of the Church of Scotland—Alexander Henderson, Robert Douglas, Robert Baillie, and Samuel Rutherford, along with some elders—to go to London as non-voting members of the Westminster Assembly. Not all of them went, but George Gillespie did attend and was a major participant for four years in the Assembly. He would deliver some 167 speeches to the assembly on a variety of issues. At the Assembly was closed, Rev. Gillespie returned to his charge in Edinburgh, Scotland. He was soon elected Moderator of the General Assembly in 1648, even though he was obviously weakened in his physical condition. He would go to be with the Lord on December 17, 1648, with what we call now tuberculosis. Truly, he was one of the leading divines of his day. 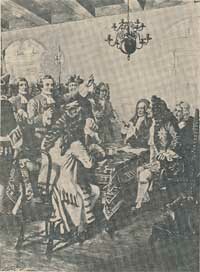 A Dispute Against the English Popish Ceremonies Obtruded upon the Church of Scotland has recently been reprinted in an improved edition. Click here for further details from the publisher. There was a good deal of serious scholarship which arose from among the early leaders of the Orthodox Presbyterian Church and the Bible Presbyterian Synod. And of the many who accomplished so much in their study and defense of the Scriptures, the Rev. Dr. R. Laird Harris was easily among the most notable of these scholars. Robert Laird Harris was born on 10 March 1911 in Brownsburg, Pennsylvania. He received a Bachelor of Science degree from the University of Delaware in 1931, a Th.B. from Westminster Theological Seminary in 1935 and a Th.M. from Westminster in 1937. He was licensed in 1935 by the New Castle Presbytery of the Presbyterian Church in the U.S.A. (PCUSA), and ordained in June 1936 in the Presbyterian Church of America [the original name of the Orthodox Presbyterian Church (OPC)] at that denomination’s first General Assembly. He left the OPC late in 1937 to join the newly formed Bible Presbyterian Church. Harris then received an A.M. degree from the University of Pennsylvania in 1941, and was later part-time instructor in Hebrew there from 1946 to 1947. He obtained his Ph.D. from Dropsie in 1947. 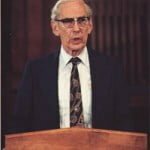 Biblical exegesis was Dr. Harris’s field and he taught this for twenty years at Faith Theological Seminary, first as instructor (1937 – 1943), then as assistant professor (1943 – 1947) and finally as professor (1947 – 1956). Dr. Harris served as moderator of the Bible Presbyterian Synod in 1956, the year in which the denomination divided. Harris defended the validity of church-controlled agencies against those who insisted on independent agencies, and he was one of many faculty members to resign from Faith Seminary that year. He became at that time one of the founding faculty members of Covenant Theological Seminary. He was professor there and chairman of the Old Testament department from 1956 until he retired from full-time teaching in 1981. He remained an occasional lecturer at Covenant, and was also a lecturer in Japan, Korea, and Taiwan and a visiting professor in India, Hong Kong and Germany following his retirement, while also working on further revisions to the New International Version translation of the Bible. He remained active in church leadership, serving as chairman of the fraternal relations committee of the Bible Presbyterian Church, Columbus Synod during the late 1950s, when discussion began concerning union between the BPC, Columbus Synod and the Reformed Presbyterian Church in North America, General Synod. He remained on that committee through 1965, seeing the effort through to the culmination of ecclesiastical union with the creation of the Reformed Presbyterian Church, Evangelical Synod (RPCES). In 1982, the RPCES joined the Presbyterian Church in America and Dr. Harris was elected moderator that year for the 10th General Assembly of the PCA. Harris was not only a teacher and church leader, but a prolific author as well. He published an Introductory Hebrew Grammar, the prize-winningInspiration and Canonicity of the Bible, and additional works such as Your Bible and Man–God’s Eternal Creation. He was editor of The Theological Wordbook of the Old Testament and a contributing editor to the Zondervan Pictorial Encyclopedia of the Bible, and wrote articles for the Wycliffe Bible Commentary and Expositor’s Bible. Also, as noted above, Dr. Harris served as chairman of the Committee on Bible Translation that produced the New International Version of the Bible . Dr. Harris’ first wife, Elizabeth K. Nelson, died in 1980. He later married Anne P. Krauss and they resided for some time in Wilmington, Delaware before declining health prompted a move to the Quarryville Retirement Home in Quarryville, PA. Dr. Robert Laird Harris entered glory on 25 April 2008. 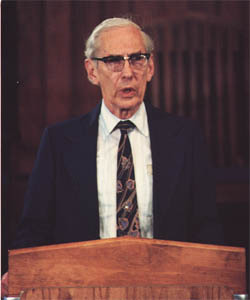 The funeral service for Dr. Harris was conducted on 1 May 2008 at the Faith Reformed Presbyterian Church, Quarryville, PA, and internment was on 2 May 2008 in the historic cemetery adjacent to the Thompson Memorial Presbyterian Church, New Hope, Pennsylvania. Francis Schaeffer is reported to have been the one who coined the phrase “split P’s,” in reference to the many divisions among Presbyterians. But for all the talk of division among Presbyterians, the latter half of the twentieth century was actually quite full of mergers and attempted mergers. One of these attempted mergers formally began in 1972, first with committee planning, and then with talks in 1973 between the Presbytery of the Midwest of the Orthodox Presbyterian Church and the Midwestern Presbytery of the Reformed Presbyterian Church, Evangelical Synod, as they sat down to discuss the proposed union at a meeting in St. Louis on April24, 1973. Then in June of that same year, the matter came under initial consideration at the national level for each of the two denominations. Both the OPC and RPCES assemblies approved sending the Plan down to their Presbyteries for further discussion and voting. With characteristic dry humor, Dr. Clair Davis, then a member of the OPC, quipped, “We almost know more about you RP’s than we do about ourselves. We have looked you over in more detail than we ever viewed ourselves with.” One major sticking point proved to be RPCES views on millennial issues, particularly as that had been set down in the RPCES edition of the Westminster Larger Catechism. In the end, the proposed union failed to secure approval when voted on in 1975. The Preamble to the proposed Plan of Union is an interesting document to review now, nearly forty years later. What might have happened if that proposed merger had been approved? Would a new, larger denomination have entertained the idea of yet another merger a decade later with the PCA? And how do the documents drawn up in preparation for that proposed union compare with the later arrangements made for the Joining & Receiving of denominations into the PCA in 1982? The Rev. 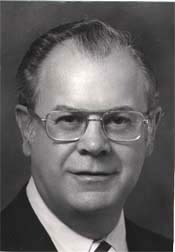 Donald J. MacNair, pictured above right, was a key part of both the efforts to merge the OPC and RPCES in 1975 and later in the efforts to receive the OPC and RPCES into the PCA in 1982. In the end, the RPCES was received into the PCA, and the OPC continued on as a separate denomination. The Reformed Presbyterian Church, Evangelical Synod and the Orthodox Presbyterian Church come together committed to the supremacy and authority of the Scriptures, the inerrant Word of God, and confessing one Lord, one faith, one baptism. These churches come together as the ________________ [the name of a united church has not been determined] Church in one scriptural faith and order, in full fellowship in the service of Christ under the divine authority of the whole of Scripture for all of faith and life. We come to this union acknowledging both God’s grace and our sins in days past, and trusting in the renewal of the Holy Spirit for days to come. In this union we seek first the honor of our Savior’s name; we wish to be found pleasing in the sight of the Lord who prayed for the deepest unity of His people. In particular we would praise God for His mighty grace in bringing us together after a sad experience of division in the history of our churches. Soon after the Presbyterian Church of America was established in 1936 to continue a faithful witness to the Christ of the Scriptures, a grievous division brought reproach upon this testimony. We recognize the genuine and deep concerns that influenced this division; on the one hand, a fear that indifference or hostility to characteristic features of the piety and hope of American Presbyterianism would doom the church to sectarian isolation; on the other hand, a fear that the reformation of the church would be crippled by adherence to requirements for life or faith that went beyond the teaching of Scripture. We do not claim to have achieved unanimity of opinion on all the issues that led to that division, but in effecting this union we do confess that the unity of Christ’s church should not have been broken as it was in 1937. Both those who left and those who suffered them to leave did so without pursuing with zeal all the scriptural means for reconciliation. Each sinned in a measure, and even the least sin against the love of Christ brings reproach on His name. In seeking the joy of restored fellowship, we would confess afresh our need of the heartsearching and healing work of God’s Spirit to convict us of all sin and lead us into the obedience of Christ. We express, by this union, our obligation and determination to maintain, by God’s grace, the unity of the church in the mutual faith, love, and confidence which we profess. Also, news coverage of the initial discussions of the Plan of Union in 1973, as carried in the June 4, 1973 issue of the RPCES magazine, Mandate, volume 107, number 3 (4 June 1973). Q. 6. — How many persons are there in the Godhead? A. — There are three persons in the Godhead: the Father, the Son, and the Holy Ghost; and these three are one God, the same in sub­stance, equal in power and glory. Scripture References: II Cor. 13:14. Matt. 28:19. Matt. 3:16, 17. 1. Why has this doctrine given rise to opposition during the history of the Church? The devil recognizes that since the Trinity is a mystery which hu­man reason cannot explain, and since it is the primary object of our faith and worship, it is fertile ground for use as a stumbling block. 2. How important is this doctrine to our faith? It is essential and vital. Without this doctrine we would not know of the love of the Father, the merit of the Son and the sanctifying in­fluence of the Holy Spirit in the purchase and application of re­demption. 3. What is meant by the word “Godhead” in this question? It means the divine nature that is possessed by all three persons. 4. What denomination denies the doctrine of the Trinity? The Unitarians deny this doctrine.. They teach that there is only one person in the Godhead, the Father, and deny the true deity of Christ and the Holy Spirit. 5. How can one prove that there are three persons in the Godhead? This can be proved by many teachings in Scripture. It can be proved from the baptismal formula; from the baptism of Christ; from the blessing given by Paul in 2 Cor. 13:14; from John’s salutation to the seven churches; from the different tasks attributed to the three persons. 6. Could you give an example of these different “tasks”? Yes, I Peter 1:2 gives an example of their different tasks in the work of redemption. It speaks of the Father’s foreknowledge, the Son’s death for His people, and the Spirit’s task of sanctification. 7. How is it that all three could be one God? The doctrine teaches that “God is One in one sense, and Three in a different sense. He is One in substance and Three in persons.” (J. G. Vos). The Scriptures assert that the Son and the Holy Ghost are God and are equal with the Father. True, this mystery is diffi­cult to understand. But we now believe it by means of the Word of God and can look forward to enjoy the perfect knowledge of it in heaven. 8. How can we best state the doctrine in simple terms? One of the best statements is: “There is but one God, the Father and the Son and the Spirit is each God, and the Father and the Son and the Spirit is each a distinct Person . . .” (Dr. L. Boettner). The doctrine of the Trinity is taught unquestionably in our Stand­ards and our reception and adoption of this doctrine is an important part of our Christian faith. In addition, however, the doctrine of the Trinity plays an important part in our Christian living. The confession of this particular doctrine of the church is of the greatest importance for the spiritual life. Dr. B. B. Warfield pointed this out when he said, “Without the doc­trine of the Trinity, his (the believer’s) conscious Christian life would be thrown into confusion and left in disorganization if not, indeed, given an air of unreality; with the doctrine of the Trinity, order, sig­nificance and reality are brought to every element of it. Accordingly, the doctrine of the Trinity and the doctrine of redemption, historically, stand or fall together.” (Biblical Doctrines, p. 167). It is interesting to note that Article Nine of the Belgic Confession, regarding the proof of the Trinity, states: “All this we know as well from the testimonies of Holy Writ as from their operations, and chiefly by those we feel in ourselves.” This does not say that Christian ex­perience is a second source of revelation. There is only one source of revelation and that is Scripture. But the experience of the believer, based upon Scripture, teaches him that he needs the Triune God for his Christian life. The believer needs the Father. The Father who is the Creator, the Lawgiver, the Judge, the Supplier of every need — the Father who loved him enough to send His Son to die on the Cross for his sins. The believer needs the Son. The Son is the only-begotten of the Father. The Son who is the Teacher, the Redeemer, the High priest, the eternal King who rules with the Word and the Spirit. The believer needs the Holy Spirit. The Spirit who regenerates and leads into all truth. The Spirit who is his Comforter, his Preserver, the One who causes the believer to share in Christ and all His benefits. Without this doctrine, the sum of the Christian religion, creation or redemption or sanctification could not be maintained. Any departure from it leads to error in other realms of doctrine. We believe in, and are thankful for, the doctrine of the Trinity! It seems that some were proposing a plan for a smaller General Assembly for the PCUSA back in the 1930’s. I had not previously paid attention to such efforts in any of the old line Presbyterian denominations. Compare this with some of the various plans for a delegated Assembly that have been put forward in the PCA. For the PCA, it is an idea that keeps coming up, but which has never been found truly workable, at least so far. (1) One commissioner from each presbytery each year, alternating minister and elder (presbyteries to be listed according to Roll of Assembly, first, third, fifth, etc., to send minister first year, second, fourth, sixth, etc., to send elder), and then alternate. (2) One additional pair of commissioners from each presbytery having 10,000 to 19,999 communicants; two elder-minister units (i.e., four commissioners) from presbyteries having 20,000 to 29,999 communicants; three, etc., from presbyteries having 30,000 to 39,999 communicants, and so on. Checking this by the 1936 Minutes, it is found that we have a basic delegation of 279 commissioners (the number of presbyteries); 42 presbyteries in the 10,000 class, i.e., 84 additional commissioners; 9 presbyteries in the 20,000 class, i.e., 36 additional commissioners; 6 presbyteries in the 30,000 class, i.e., 36 additional commissioners; no presbyteries in the 40,000 class; 2 presbyteries in the 50,000 class, i.e., 20 additional commissioners; and one in the 60,000 class, i.e., 12 additional commissioners. The additional commissioners total 188, which, with the basic group, make up 467 commissioners. This is under 500 by 33 commissioners, but annual growth will soon begin to increase the delegations. This scheme is easy to figure, because the tabulation reveals the status of a presbytery by simply glancing at the digit in the 10,000 column. The elder-minister balance is maintained without elaborate explanation or computation. Almost from the beginning, the concept of a delegated or representative assembly has been discussed and debated numerous times in the still brief history of the Presbyterian Church in America. The PCA was organized on 4 December 1973 [initially as the National Presbyterian Church and renamed a year later]; the denomination began with 260 churches and 41,000 members and by 1975 had 393 churches and 60,000 members. Perhaps it was that rapid growth which in part prompted several overtures before the Third General Assembly (1975) calling for consideration of a delegated assembly. Countering those overtures, other voices were raised in opposition to the idea and in support of the existing “grassroots” assembly. The matter has continued to resurface periodically and as recently as 2006 three more overtures were presented in favor of a delegated assembly. Read more. April 21 was an important date in 1649 for the Reformed faith in the colony of Maryland. Originally, Maryland was a colony established as a refuge for English Catholics. But as more non-Catholics came into the colony, and indeed it became a Protestant colony, the Maryland Assembly on this date established the Maryland Toleration Law, or as it is sometimes known as The Act Concerning Religion. What it did was to mandate religious tolerance for trinitarian Christians. That adjective “trinitarian” is important. If a citizen of the colony denied the deity of Jesus Christ, for example, then the punishment was seizure of their land, and even death. Thus Unitarians, or Jews, or atheists were threatened by this law. It was meant more so as a protection for the Roman Catholics as it was for the Protestants, and specifically the Reformed faith. It wouldn’t last long on the books, being repealed in 1654 by Oliver Cromwell’s influence upon the colony, and specifically the Anglican Church. It would be returned to the law books, but then repealed forever in 1692. It is interesting though that a part of it was found in the First Amendment of the U.S. Constitution, which states “Congress shall make no law respecting an establishment of religion, or prohibiting the free exercise thereof; or abridging the freedom of speech, or of the press; or the rights of the people peaceably to assemble, and to petition the Government for a redress of grievances.” The phrase “the free exercise thereof,” comes from the Maryland Act of Toleration. What interests us in this Act of Toleration is that it allowed “the father of Presbyterianism” in the colonies, Francis Makemie, the freedom to preach in Maryland. Arriving in the Maryland colony in 1683, he didn’t have to seek permission from the governor of the colony to proclaim the richness of free grace. Further, those of the Reformed faith who were driven out from the Virginia Colony’s control by the Anglicans, could come to Maryland to practice their Reformed faith. Makemie went on to establish several Presbyterian churches in Maryland. Words to Live By: This same Francis Makemie didn’t let state laws prohibit him from preaching the gospel. He was willing to go where the Holy Spirit led him to proclaim the unsearchable riches of God’s grace, regardless of the state law. But when the liberty of the state enabled him to go, he didn’t “let the grass grow under his feet” in sharing the good news of Christ, and Him crucified. Let us not let the fear of man’s face hinder us in sharing what Christ has done for us.